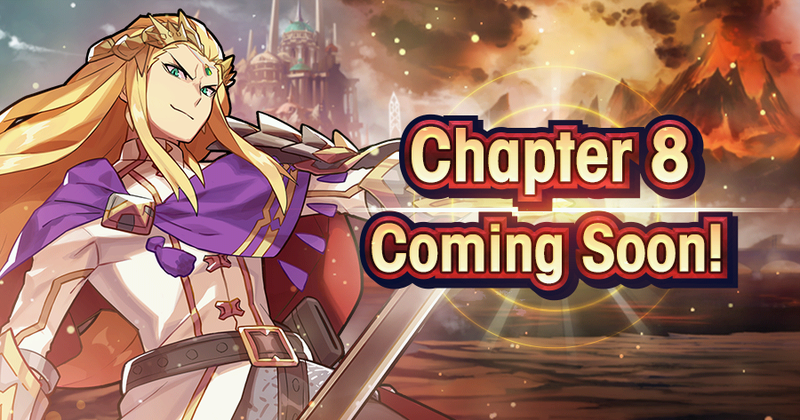 Chapter 8: Entwining Flames will be added to the main campaign at 11:00 PM Apr 17, 2019(PT)/6:00 AM Apr 18, 2019(UTC)! We hope you're looking forward seeing what's in store for the prince and his friends! Chapter 8 of the main campaign, Entwining Flames, will unlock if you clear Ch. 7 / 5-6 "A Bond to Unite the Land."